EUR traders are mostly concerned about Italy situation and today with no major economic reports for EUR, all eyes will be on the Chicago Fed National Activity Index. The support rests at 1.14910 with resistance at 1.15560 which the weekly pivot point at 1.15230 is located in between the lines. The EMA of 10 is moving with bullish bias in the ascendant channel and it is below the EMA of 200 and the EMA of 100. The RSI is moving above the 50 level, the Stochastic is moving in high ranges and the MACD line is above the signal line in the positive territory. The ADX is showing buy signal. 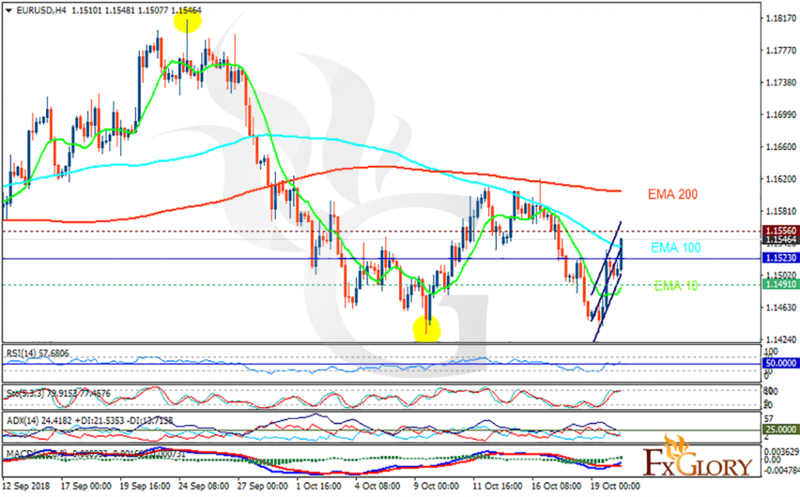 EURUSD might continue its bullish trend targeting 1.16.